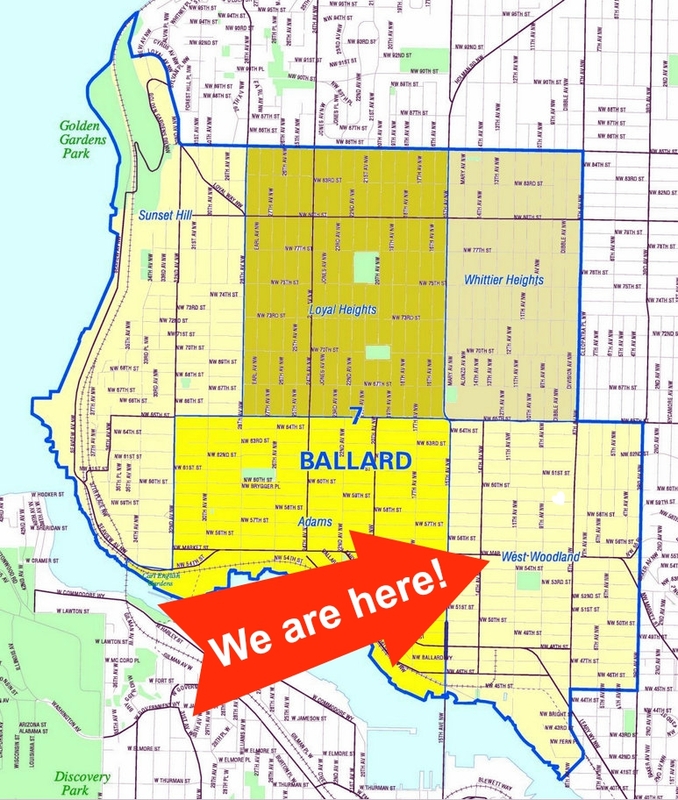 Shop Local in Ballard’s West Woodland Neighborhood! For as long as gift-giving has been a tradition, we’ve also struggled with finding the right gift. Our 2017 Shop Local Holiday Gift Guide was created to help you find the perfect holiday gift ideas for everyone on your list – your wellness-obsessed friend, music-loving mom, sophisticated boss – buying from shops right here in Ballard’s West Woodland neighborhood. As you start your holiday shopping, use the 2017 Shop Local Holiday Gift Guide to find something truly unique – and locally made – for everyone on your gift giving list. We hope these recommendations spark an idea for what you might gift your loved ones. Do you have a guitar hero on your gift giving list? Fret no more! Peace General Store stocks handcrafted leather guitar straps, banjo straps & premium accessories produced by Seattle’s own Copperpeace. Every item is skillfully crafted and quality checked before arriving in your hands. The guitar straps you’ll find at Peace General Store are of the highest quality materials that will stand the test of time and can be passed down a generation. Peace General Store is located at 1417 NW 54th Street, Suite 107, Seattle, WA 98107. Ballard’s already experienced a flurry of early snow and freezing temperatures. Needless to say, we need a taste of whiskey to warm the soul. Embracing cozy vibes, with smoky salt and local whiskey flavors, Jonboy Caramels will put the happy back into your holidays. Buy Jonboy Caramels Whiskey with Smoked Salt Caramels online here. If you need a gift to go, visit Seattle area PCC Natural Markets and Whole Foods Market for additional Jonboy Caramels product selection. Need a gift that will help your stressed friend chill way out? Give the gift of health this holiday with an Inner Harmony Acupuncture gift certificate. Inner Harmony Acupuncture provides a wide range of healing modalities, including Reiki, sound healing, massage, and more. Gift certificates can be purchased in any amount and for a limited time, spend $100 and you get a gift for yourself! Inner Harmony Acupuncture is located at 1417 NW 54th Street, Suite 437, Seattle, WA 98107. Domanico Cellars wine club is the perfect gift for both experienced and new wine drinkers. The delight of wine arriving at your door never gets old, and like all gift of the month clubs, a wine subscription is a gift that keeps on giving. Light up your life! There’s a place in every home – even the tiniest of apartments – for a petite accent lamp. Though they may be small, the cheerful glow they produce will make a significant impact on the ambiance of a room. Lighten Up Seattle has an amazing selection of lamps – big & small – to brighten the darkest corners. Whether you’re shopping for an avid art collector who loves to showcase their collection, or a student who needs to upgrade their desk decor, Lighten Up Seattle is the bright choice. Lighten Up Seattle is located at 1417 NW 54th Street, Suite 106, Seattle, WA 98107. Ballard’s big on bowties and whether you’re mad for plaid or prefer a preppy polkadot, Hapertas & Company is happy to help you find a perfect fit. Hapertas & Company specializes in handmade haberdashery and gifts for the classic gentleman. Their products include neckties, bowties, pocket square, collar stays, cuff links, leather goods and home decor. Hapertas & Company is located at 1417 NW 54th Street, Seattle, WA 98107. Visits are by appointment only. For the ultimate foodie, what’s more luxe than enjoying your favorite dish, surrounded by friends? Relax over a drink with your Bestie, while the culinary artists at The Blue Glass create magic in the kitchen. For a limited time, starting November 30, 2017, pop over to The Blue Glass and buy a $100 gift card for your friend, and they’ll give you a $25 gift card for free. The Blue Glass is located at 704 NW 65th Street, Seattle, WA 98117. Populuxe Brewing is located at 826 NW 49th Street, Seattle, WA 98107. Tucked inside StudioWorks Ballard is 5 Lights Wellness, an Acupuncture, Yoga and Sound studio that specializes in helping many heal their body, optimize their mind, and experience higher states of consciousness. Treat your friend (and yourself) to a Sound Experience or Small Group Yoga Session for just $20. Contact 5 Lights Wellness owner, Amber West at amber@5lightsacupuncture.com for gift certificate orders. 5 Lights Wellness is located at 1417 NW 54th Street, Suite 234, Seattle, WA 98107. Buying for someone who lives on the other coast? If you’re hoping to really make an impact this holiday, get them something they can’t get themselves and be a holiday hero! For the craft beer enthusiast, gift two bottles of beer from Ballard’s most decorated brewery, Reuben’s Brews. The bottles come snuggled in a super soft tee, boxed and ready to be shipped, or placed under the ol’ tannenbaum. Family owned and operated, Reuben’s Brews offers a large selection of beer gear and gift cards. One for you and one for your friend. Reuben’s Brews is located at 5010 14th Ave NW, Seattle, WA 98107. Ballard-based musician, Lori Goldston has stood on stage with rock icons like Kurt Cobain, and has created a memorable career by deconstructing her classical education and merging with self taught experimental skills. Goldston’s album, Film Scores includes: Carl Theodor Dreyer’s The Passion of Joan of Arc (1928), Yasujiro Ozu’s Passing Fancy (1933), Linas Phillips’ Bass Ackwards (2010), Britta Johnson’s Crashing Waves (2010), Vanessa Renwick’s Charismatic Megafauna (2011) and Mighty Tacoma (2011). Ohmbiance is located at 1417 NW 54th Street, Suite 305, Seattle, WA 98107. Still not sure what gift to give? This entry was posted in ballard and tagged Holiday Gift Guide, shop local by West Woodland, Ballard. Bookmark the permalink.